The esoteric, as taught by Universal Medicine, means that which comes from our inner-most. It is the livingness of love that we all carry equally deep within and it is this livingness that restores each and every individual back into the rhythms of their inner-harmony and thus from there, the love is lived with all others. The esoteric is all encompassing and it comes from that which is found in the inner-heart centre of every individual. It lives with a unifying impulse to unite all as a living brotherhood of one race under the one God in accordance with the spirit of a one humanity. This site is also governed by the universal principle of Free-Will understood by, from and in its energetic meaning. 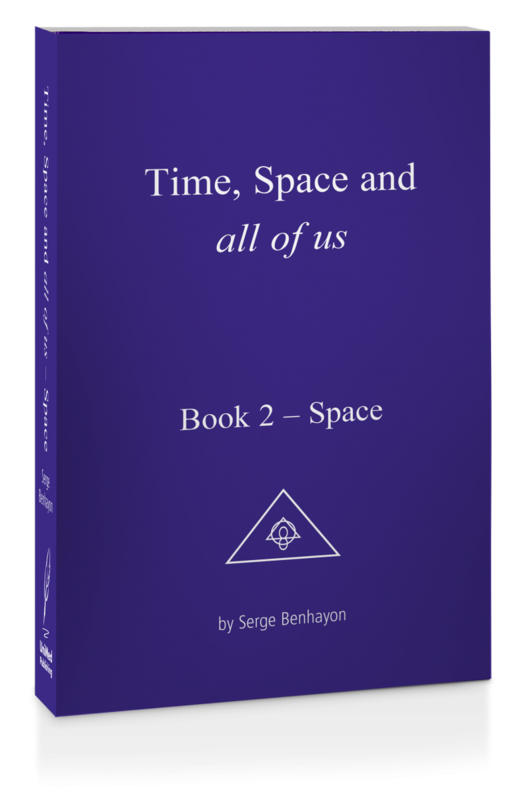 Therefore, no one is held, persuaded, influenced, swayed, converted or asked to join, agree or accept either in part or in full anything that is here or alike presented by the founder Serge Benhayon or any other contributor. To be free to energetically choose ought to be the first impulse before any seeking for truth or answers begins. Hence, to be able to truly choose should be the entire and forever right of each individual. With that in full view, no teacher or organisation has placed so much emphasis on teaching true discernment so as to make the highest form of transparency available to its students, for there is no higher form of transparency than in energetic integrity. Read, feel and understand that this site is based on the principle of a one-unified-truth. Such a principle has an energetic understanding that comes from the oldest science of all. Feel free to explore throughout our site. If this site is not to your liking, you have exercised your right to choose. We welcome the choice and respect it in whole. 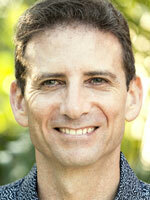 Universal Medicine was founded by Serge Benhayon. It has been operating since late 1999. The term and or name speaks for itself, if one can grasp its meaning, but more so, it is a living testimony of the work and output that has thus far poured-out since its inception. Universal Medicine is truly universal medicine. NB: The term 'universal medicine' in its true expression means the science that incorporates a very vast and wide approach for all the forces that apply to and surround mankind. This takes in the constellations, the seasons, the various generational attitudes, reactions and responses as well as the general sentiment of a body of a species willing or not willing to evolve with the obvious signs as given by history and contemporary reflections. From day one, Serge began treating with his then unique techniques and high level of energetic integrity in the fields of complementary medicine and allied health. Instantly these practices became very popular and not long after, they became the highly respected trademark of his work and have set a benchmark for all healing modalities … energetic healing practices that are sought by many from all over the world. From the Esoteric Healing based modalities came the series of lectures, workshops and books that placed Universal Medicine firmly on the map as an organisation that is dedicated to the art and sciences of healing, allied health and to the way in which humanity can live under the auspices of a one-unified-truth in accordance to the Energetic Laws that exist, seen and unseen. The teachings have brought many new benchmarks and levels of integrity and dedication not seen before. In response, many professionals, trades, businesses and practitioners from wide-ranging backgrounds have adopted these teachings in accordance to their re-awakened commitment to service, life and love. Many thousands have shared that in providing a sensible and dedicated approach to illness and disease under the full understanding of esoteric philosophy and natural science, Universal Medicine has been able to assist them with their health and personal issues. To bring an understanding of what true healing is. The fact that nothing truly heals or changes unless we arrest its energetic root cause as per indicated under esoteric laws and natural science. To deliver the modalities that bring true healing in respect to natural science and philosophy and to what real health and wellbeing truly mean and are to us as human beings so they can be lived on a daily basis. To bring the teachings that provide the best form of healing – how one can knowingly choose to lovingly live their every day through life. And that ultimately, all must occur from the ability to make fully informed choices. Since late 1999 to date, tens of thousands of people have shared that they have benefited greatly from a variety of our services, be it the healing sessions, the bodywork, meditation, movement, health and vitality building, esoteric diets, the unique support, care and healing path to cancer and many other forms of illness and disease as well as the every-day way that many now choose to live in the loveliness of their ever developing being. Many have also shared that our services have had great effects, results and ongoing benefits for them since they have chosen to make us part of their healing program and way of life. On that note, and key to our philosophy, is the fact that one must at all times be free to make choices. Therefore, the most thoroughly informed choice is always the best choice. Universal Medicine is, and has been since its first day of operation, an ‘open door’ policy organisation that stands to present the teachings of natural science and philosophy in accordance to their true heritage. We present what is known under the esoteric principles and sciences that found our teachings and the modalities that we serve with and or teach the general public. Our clients range from those with terminal illness, diabetes, arthritis, complex multi-symptomatic conditions, digestive disorders, men’s and women’s health issues, back pain and muscle aches to those seeking a solution to their personal problems and or looking to expand their field of knowledge so as to better serve in their chosen profession. As such, those who use our dedicated healing clinics as their choice of personal treatment and or attend our lectures, workshops, courses and retreats, come from all walks of life, covering a very wide range of the general public and from there a student base that includes – accountants, tradespeople, administrators, salespeople, doctors, dentists, nurses, IT, teachers, yoga instructors, practitioners, therapists, stockbrokers, social workers, small business owners, corporates, university students, teachers and administrative staff and the ‘mums’ and ‘dads’ of this world who, in addition, take advantage of our various sponsored youth programs. As a testimony to its dedicated services and ultra high level of integrity both in business dealings and in its care of duty and delivery, Universal Medicine has since 2003 grown to be a global community with clients, students and centres throughout Australia, in the UK, Belgium, Holland, Germany, Norway, New Zealand, Spain, Canada and the US. To help monitor its vast expansion and keep its integrity and energetic responsibility in its dedication to the healing arts, Universal Medicine launched it's own accreditation arm, the Esoteric Practitioners Association Pty Ltd (EPA). The EPA is a branch of Universal Medicine that was instigated by Universal Medicine to serve the purpose of monitoring and accrediting the modalities that were founded and are taught by Universal Medicine. This vehicle or branch is used to maintain the highest form of integrity, and that is -- Energetic Integrity. The EPA has been said to hold the highest code of ethics and standards in the world, standards that are said to be second to none and likely not upheld or practised by any other association or organisation. The membership of the EPA does not just comprise those who practise the modalities of Esoteric Massage, Sacred Esoteric Healing or Esoteric Chakra-puncture, but also those who serve in accounting, trades, sales, conventional medicine, nursing and business etc. who aspire to live the dedication to service via the responsibilities to duty and care as afforded by the EPA under its founded teachings and principles. And thus, the diverse range of topics and forms of allied health services, complementary medicine and the teachings of Esoteric Philosophy, healing and natural science that found Universal Medicine as it caters to a wide and ever expanding audience.